NPR And Edison Research Release 'The Smart Audio Report' New research on Smart Speakers shows these devices change behavior. NEW YORK, NY - June 21, 2017: Members of the podcast and radio community from across the United States attend the Rain Podcast Business Summit. Somerville, New Jersey; June 21, 2017: According to The Infinite Dial 2017, 7% of Americans 12+ own a "Smart Speaker," the category of voice-controlled devices that includes the Amazon Echo and Google Home. Now, for the first time, a new study from NPR and Edison Research reveals the habits and behaviors of Smart Speaker owners. This study, entitled "The Smart Audio Report from NPR and Edison Research," reveals that 70% of Smart Speaker owners say they are listening to more audio at home since acquiring their device. In addition, 65% of Smart Speaker owners indicate that they would not want to go back to their lives before getting one of these devices. Indeed, 42% of owners say that their device is now "essential" to their everyday lives. One of the more intriguing findings was the appeal of these devices to parents. Eight in ten parents say these devices have made it easier to entertain their children, and nearly 90% say their children enjoy Smart Speakers. In fact, 57% of owners with children at home say that entertaining children was a reason for wanting the speaker. "Being a leader in audio programming, NPR was eager to work with Edison on this study, so we could best understand the role smart speakers play in everyday life and how listening behavior is shifting. This important research will guide us as we enhance the NPR experience on this platform," said NPR's Chief Marketing Officer Meg Goldthwaite. "Listeners love and trust NPR, and we are already the news source for Amazon Alexa, Google Home, and soon on Apple's Homepod. We aim for NPR to be everywhere people are listening." "Although Smart Speakers have not been around for very long, nearly one in five owners say that these devices are the way that they most often listen to audio," noted Edison VP of Strategy Tom Webster. "The frictionless way in which these devices enable audio consumption is already changing listening behaviors, and potentially increasing audio consumption overall." The Smart Audio Report, from NPR and Edison Research, contains numerous insights that have never before been reported on audio consumption, usage behaviors, ties to Smart home technology and more. 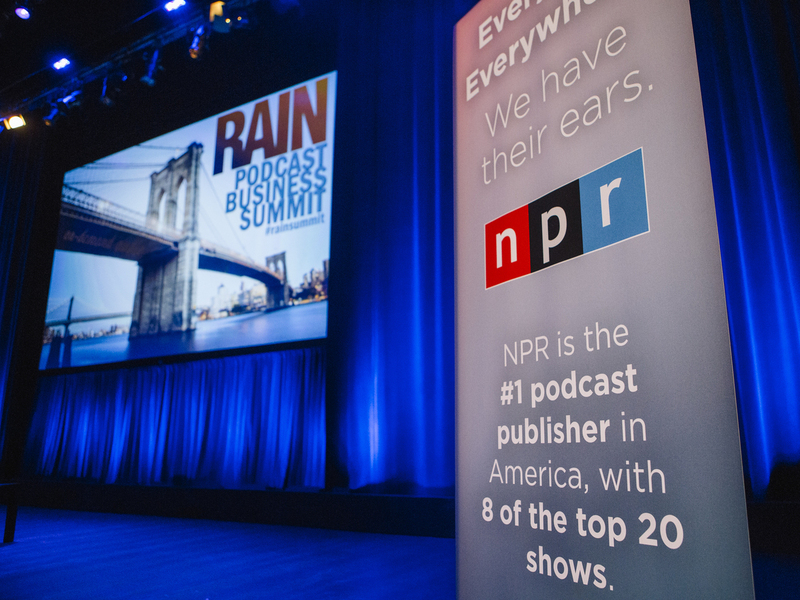 The study was presented for the first time today at the RAIN Podcast Business Summit in New York. A full report on the findings will be available to download from Edison Research after a public webinar happening Wednesday, June 28, from 2-3PM ET. Register for the webinar here. The Smart Audio Report is based upon a national online survey of 1620 Americans ages 18+. 800 respondents indicated that they owned at least one Smart Speaker (160 Google Home, 709 Amazon Alexa-enabled, and 69 who owned both.) 820 respondents did not own a Smart Speaker device, and were surveyed for comparative purposes. The device owner data was weighted to nationally representative figures on Smart Speaker users from The Infinite Dial 2017 from Edison Research and Triton Digital. Edison Research conducts survey research and provides strategic information to a broad array of clients, including Activision, AMC Theatres, Disney, Dolby Laboratories, Google, NPR, Oracle, the U.S. International Broadcasting Bureau, Pandora, Samsung, Siemens, Sony, St. Jude Children's Research Hospital, The Gates Foundation, and Univision. Edison is the leading podcast research company in the world, and has conducted research on the medium for NPR, CBS, PodcastOne, WNYC, and many more leading companies in the space. Another specialty for Edison is its work for media companies throughout the world, conducting research in North America, South America, Africa, Asia, Australia, and Europe. Edison Research is the sole provider of election exit poll data for the National Election Pool comprised of ABC, CBS, CNN, FOX, NBC and the Associated Press. Edison is also the leading provider of consumer exit polling and has conducted face-to-face research in almost every imaginable venue.